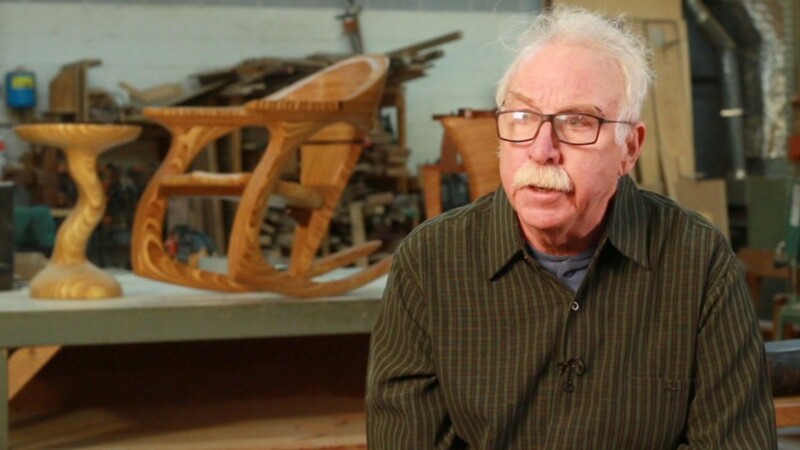 We were very saddened to hear of the death of Master Woodworker Michael Gilmartin in May of this year. Michael was a long time customer and an acclaimed woodworker who lived and worked for decades in Atlanta. 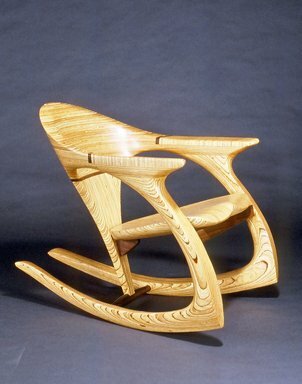 He specialized in sculpted furniture, and was known for his unique and iconic plywood sculpted chair, which became a style known as the Gilmartin chair. We featured Michael in our Moment with a Master segment of an episode of The Highland Woodworker in early 2015, and enjoyed the opportunity to go into his shop and learn more about his techniques of stacking and finding cadence in the beautiful plywood furniture he created. We will miss Michael’s visits to the store, and the woodworking world will miss a Master Woodworker, who inspired many in his time and will continue to do so. I knew mike starting in the 80s when his wood working studio was in the same mill complex (now called the goat farm) as my photography studio. I photographed many of his pieces for him and have 3 of his favorites. He made a bed for my daughter Katie who called him “uncle Mikie”. I was sad to learn of Michaels passing. I discovered his wonderful furniture nearly twenty years ago. I loved his furniture. I keep going back to his web site to view in awe again and again!